Break into the Reading market in this move in condition ranch. Least expensive house on the market. 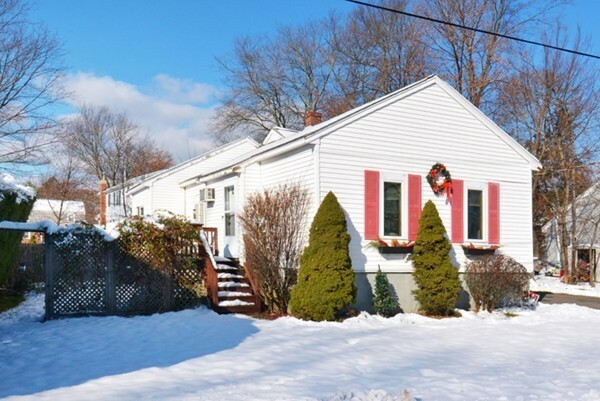 First time home buyers or down sizer's this is your opportunity to live on a quiet dead end street with easy access to 95/93, commuter rail, town center and Lake Quannapowitt. This home offers a large kitchen with island, new dishwasher and vaulted ceilings. There are 3 good size bedrooms and a partially finished lower level that would be a great play room or office. Dining room is currently being used as a family room. The yard is completely fenced in for the little ones or pets. No hassle vinyl siding and parking for 2 cars. All lawn equipment will remain as gift to buyers. Portions Copyright © 2019 Cynthia Rohmer. Portions Copyright © 2001-2019 iMaxWebSolutions.com.